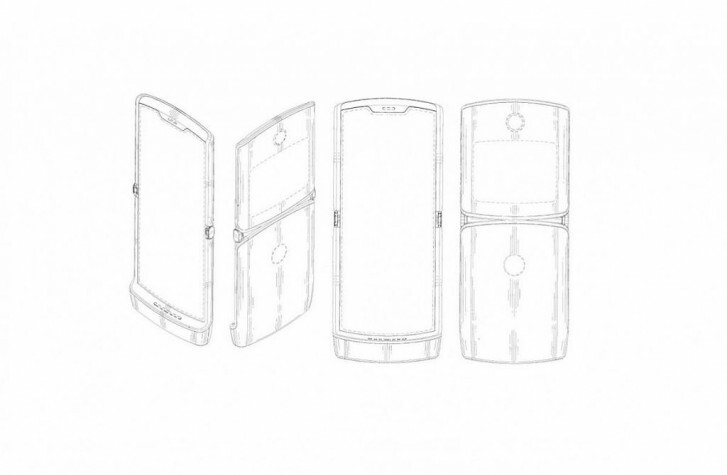 Motorola is working on a new Razr smartphone that will keep the iconic shape but employ a foldable screen inside, to go with what's quickly becoming the prevailing trend of 2019 in the mobile world. So far the foldables that are already announced or rumored have all been flagships, but Motorola seems to be going another way with its project. According to a new report, Motorola Razr 2019 will employ the Snapdragon 710 chipset, paired with 4/6GB of RAM and 64/128GB of storage. The lights will be kept on by a pretty lightweight 2,730 mAh battery. The main, foldable screen will be a 6.2-inch panel with 876x2142 resolution, while on the outside there will also be a secondary display with 600x800 resolution and yet unknown size. The phone will be offered in black, white, and gold. It's codenamed Voyager, and if we go by past rumors it should cost around $1,500, which makes it much cheaper than Samsung's Galaxy Fold or Huawei's Mate X. Then again, it does come with lesser internals too. It's still unclear exactly when the handset will launch, but it will be offered by Verizon. There seems to be a fingerprint sensor on the rear, as well as one camera. Motorola has redesigned the Razr logo for this upcoming launch, you can see the new one above.